At the afternoon I drive from Leuven to Genk to Jan's house. 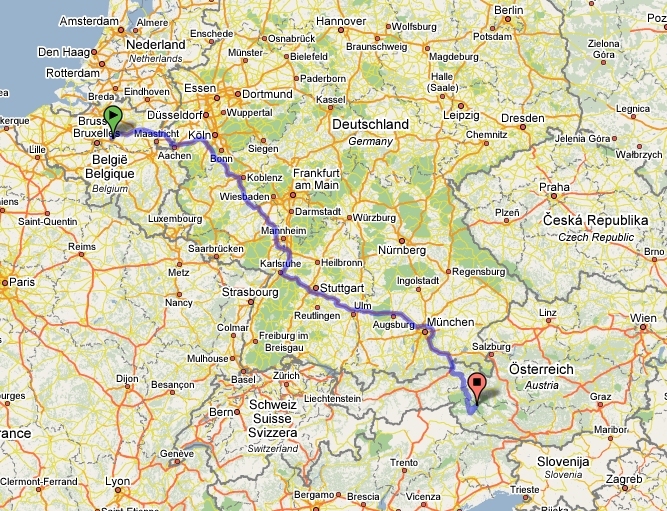 At 17:00 we start driving Jan's car to Germany and and we stay the night near Munich. At 9:00 we were at Cornad Sport shop in Penzberg city south of Munich. I bought tour ski set and after noon we start driving to Austria. We pass from the very nice villages in the mountains in Austria and we toke the road with cross Grossglockner, where is a paid road. 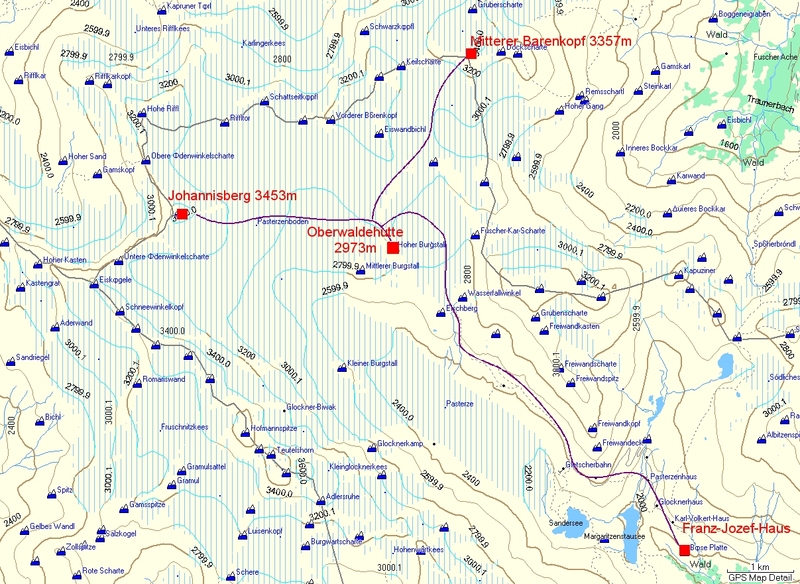 We drive over the pass at 2400m altitude and we reach Franz-Jozef-Haus 2360m, where we stay at night. At 6:00 we start trekking on the path to hut Oberwaldehutte 2973m. The path passes inside of 6 tunnels, with total legth more than 1000meters. There is a very well made path up to Im Wasserfall, from here we start going up using our tour skis. We reach Oberwaldehutte in 3 hours. Oberwaldehutte is a very nice hut with very good services and nice and helpful staff. 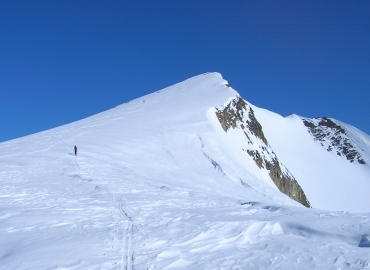 We reat for few time and we continue climbing to Johannisberg peak 3453m. 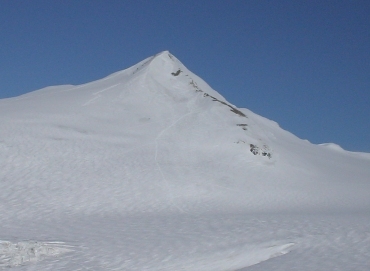 The route to the summit is very easy but a rope is needed to pass the Pasterzenboden glacier. The last part of the slops are almost 40 degrees. We ski down to Oberwaldehutte where we rest and stay at night. My feet were full of bubbles and blisters from the new ski boots. Today I am not able to do long tour and I we decide to climb the easy peak Mitterer Barenkopf. We start at 8:00 from the Oberwaldehutte and we follow the flat slopes to the Mitterer Barenkopf peak. It was a very hot shine day. At 10:00 we reach the summit of Mitterer Barenkopf 3357m were we stay for more that an hour. We are sking the route back to hut fast. We pack out equipment and continue to sking to Im Wasserfall from where we start to walk back to Franz-Jozef-Haus. We drive back to Munich where we stay at night. Early in the morining we pass from Petzberg to form my boots. At 10:00 we start driving from Munich to Genk where we arrive at 19:00. Finally at 20:00 I reach my home in Leuven.